It’s almost that time of year again: The time when we get to show our love and affection for friends and family with thoughtful gifts. If you’re looking for alternatives to the tired gift cards you usually pass from person to person around the holidays, your friends here at American Frame have good news. The perfect gift is one that’s unique, lasting, and meaningful. Homemade gifts are great options, but they often end up being too time-consuming to squeeze into the already-packed holiday season. 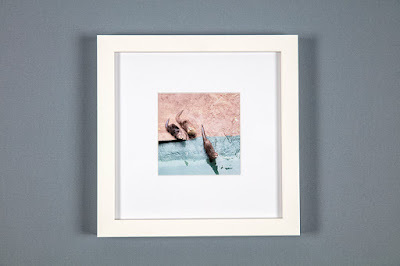 A framed memento is a fun and unique alternative to a framed photo. Try framing a particularly meaningful poem or maybe an old family recipe to bring warmth to a kitchen. 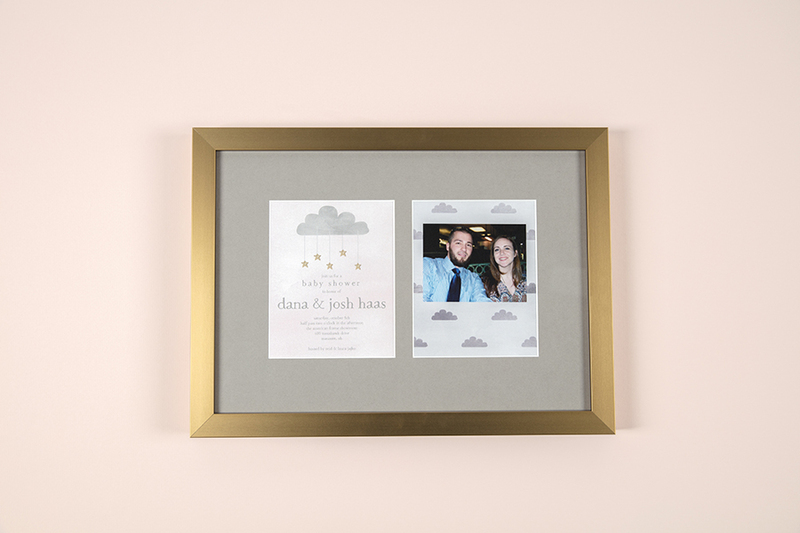 Adding a framed wedding or baby shower invitation can be a creative addition to the photos from the event itself that someone may already have framed, or it can stand alone as a hallmark of a wonderful memory. Frame a jersey for the sports fan or athlete in your life! This is the perfect decoration for the den or basement where everybody gathers to watch big games. Our Jersey Display Case makes it quick and easy — and it’s 30% off for a limited time! Plus, it’ll keep a collectable jersey safe from wear and tear. Put a special record in a frame to give a musical gift in a creative way. Maybe a couple you know would like a framed copy of the record that includes their “first dance” song. Or, for the music collector in your life, a beautifully, safely stored record or CD in mint condition is a lovely decoration. 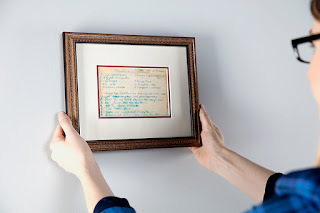 Create a shadowbox to showcase three-dimensional items for a unique keepsake. We’ve already walked you through framing guitar picks, but this method works for all kinds of objects. Get creative and you’ll end up with an art piece that nobody could buy in a store. 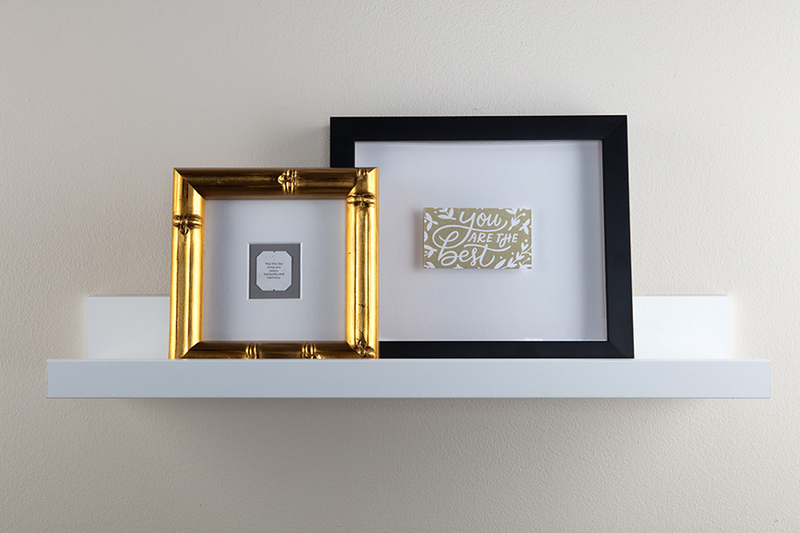 Elevate your Instagram photos with specially designed frames. Those memories don’t just have to stay online where they’ll eventually get buried by newer ones. These real-life snapshots can feel fresh and personal in a way that professional portraits don’t. Create a collage to showcase a complete memory from all angles! 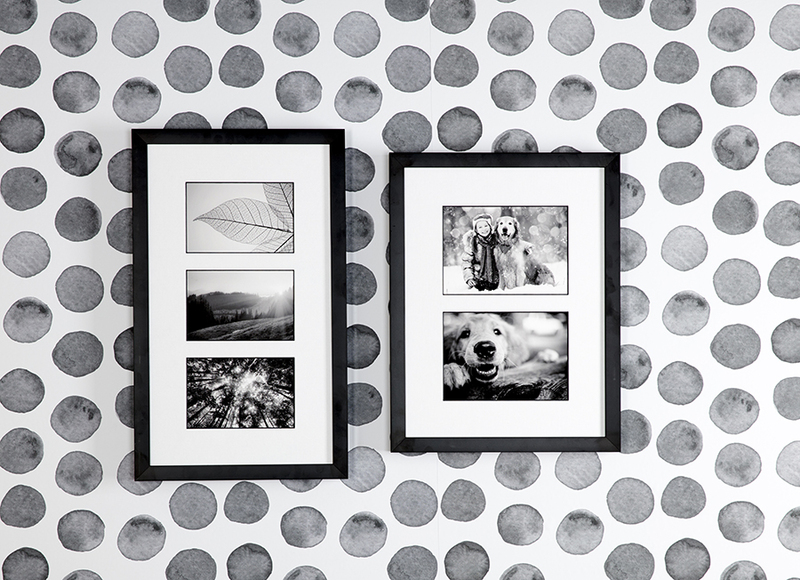 Our collage frames make it easy to bring different photos together without sacrificing quality or style. A collage can showcase many photos from the same event or day, or it can show the passage of time with a collection of photos spanning years. 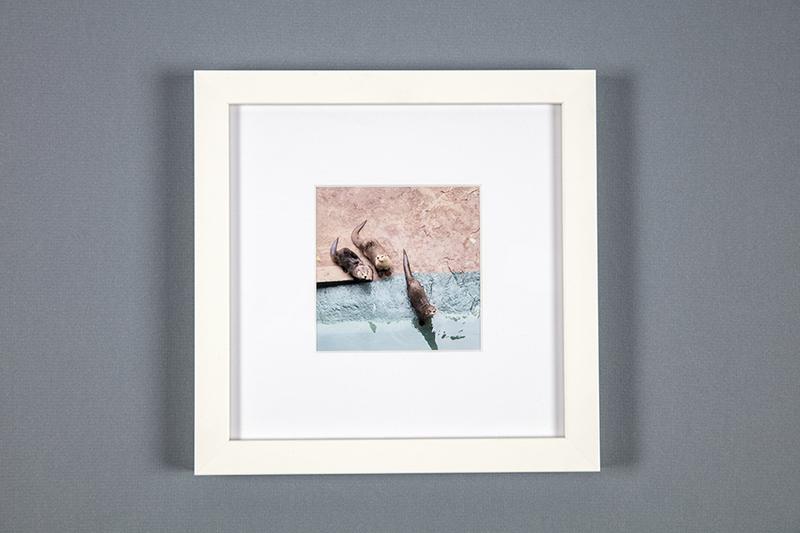 Use a tabletop frame to showcase an extra special image or as a gift for someone with limited wall space. Tabletop frames can stand up on their own because of their depth and are available in so many sizes and colors, you’re bound to find the perfect frame! If you need an idea to get started, take a look at the brand-new Metallics collection for on-trend wood tabletop frames! 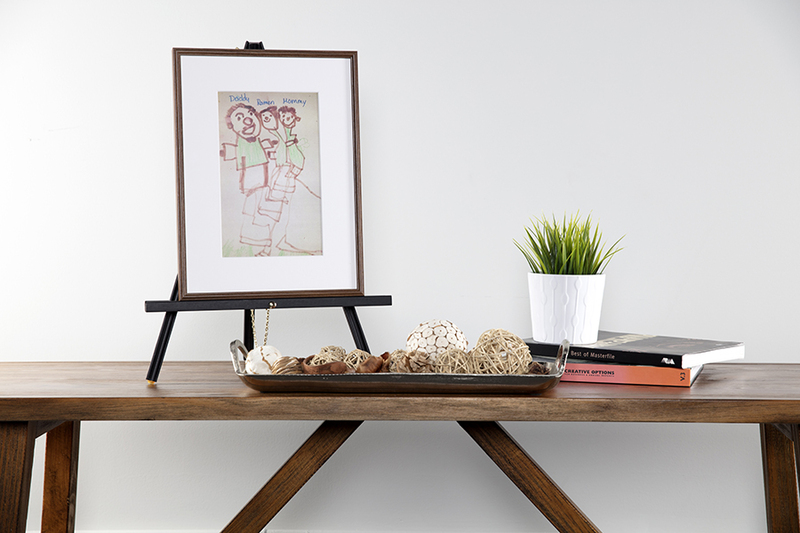 Children’s art makes a fun and whimsical decoration when highlighted with a nice frame! Our colorful metal frames bring playful crayon art to life and make lovely gifts for parents, grandparents, aunt and uncles, and teachers. Make sure your gift is as special as the person you’re giving it to. Our DIY framing kits make personalized keepsakes easy. All you provide are the memories! 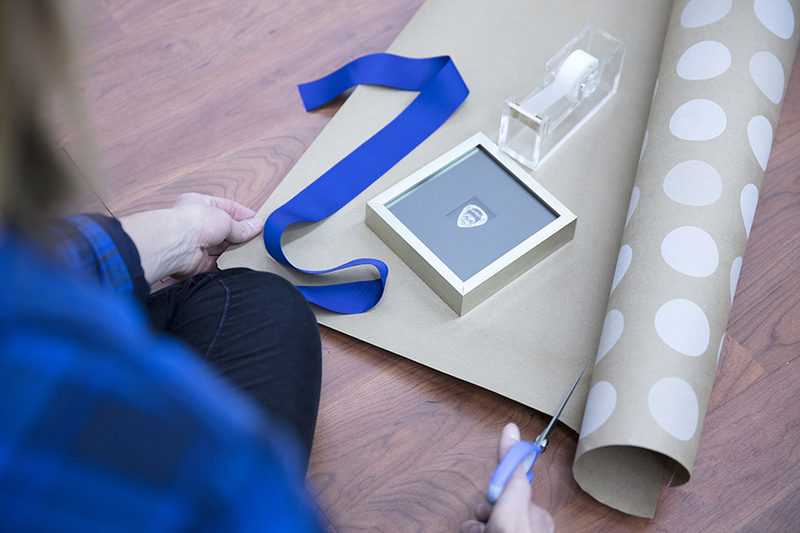 Need help finding the perfect frame for your gift? 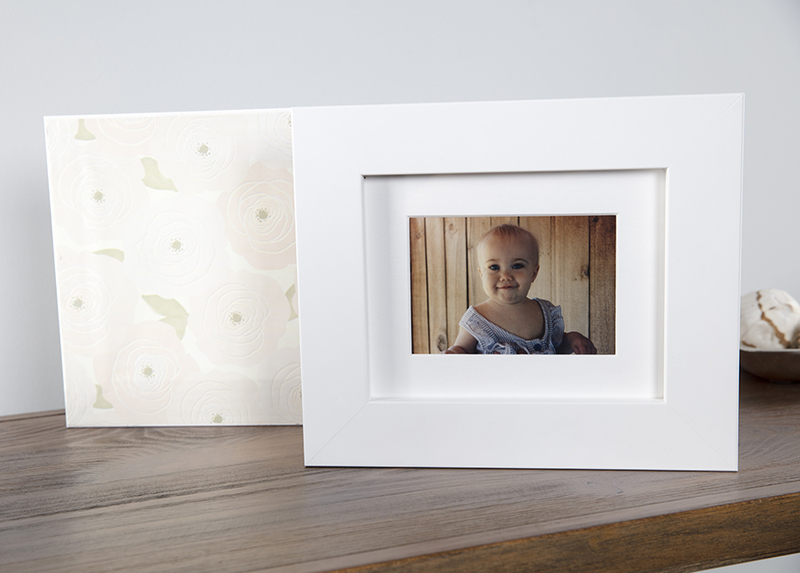 American Frame is the go-to source for learning how to custom frame photography, art, canvases, and memorabilia. Contact us for guidance on the best way to frame your gifts this year. 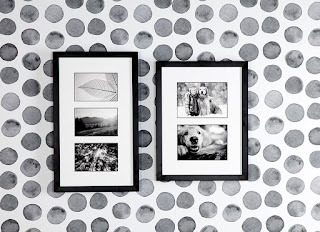 Those are some really cool framing ideas! It's always fun to read your blogs. Will certainly try some of your tricks. Thanks. Great Post Laura !! Loved the techniques you shared for making an ideal frame. Well, I'am a picture framer at PaintboxSoho and we insist our customers to share thier ideas on framing so that we can explore something new for them. I will surely use your techniques for customizing some of our picture frames. Thanks a ton! I'am a photo designer at PaintboxSoho and we demand our clients to share thier thoughts on confining with the goal that we can investigate Essay Help UK something new for them. I will most likely utilize your systems for altering some of our photo outlines. Much appreciated a ton! Accomplishment may suggest: Attainment of higher financial prosperity. Achievement of a target, for example educational achievement. The opposite of disillusionment. The identification of penicillin, for delineation, was the result of Alexander Fleming note the plan of cast on the surface of petri plate left unlearned amid the night. This article is an appealing wealth of informative data that is interesting and well-written. I command your hard work on this and thank you for this information. You’ve got what it takes to get attention. very good and interesting site with very good look and perfect information I like it. Excellent information on your blog beth riesgraf leather jacket, thank you for taking the time to share with us. Amazing insight you have on this, it’s nice to find a website the details so much information about different artists.